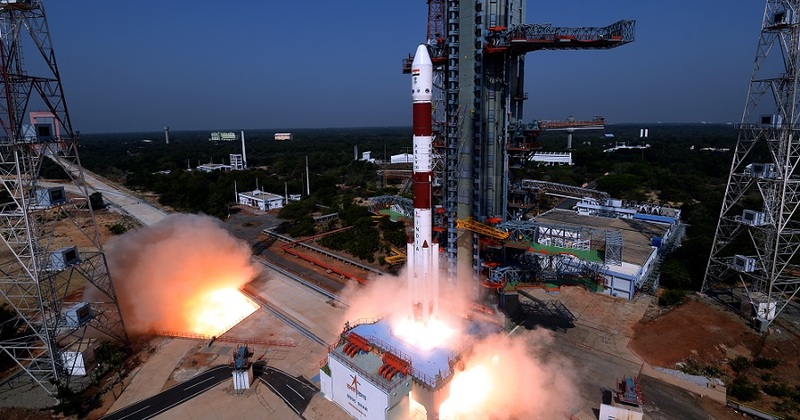 India’s Polar Satellite Launch Vehicle (PSLV-C45) on Monday successfully launched EMISAT and 28 international customer satellites from Satish Dhawan Space Centre (SDSC) SHAR in Sriharikota. This flight marked the first mission of PSLV-QL, a new variant of PSLV with four strap-on motors. PSLV-C45 lifted off at 9:27 Hrs (IST) from the Second Launch Pad and injected India’s EMISAT into a 748 km sun-synchronous polar orbit, 17 minutes and 12 seconds after lift-off. After separation, the two solar arrays of EMISAT were deployed automatically and the ISRO Telemetry Tracking and Command Network at Bengaluru assumed control of the satellite. In the coming days, the satellite will be brought to its final operational configuration.